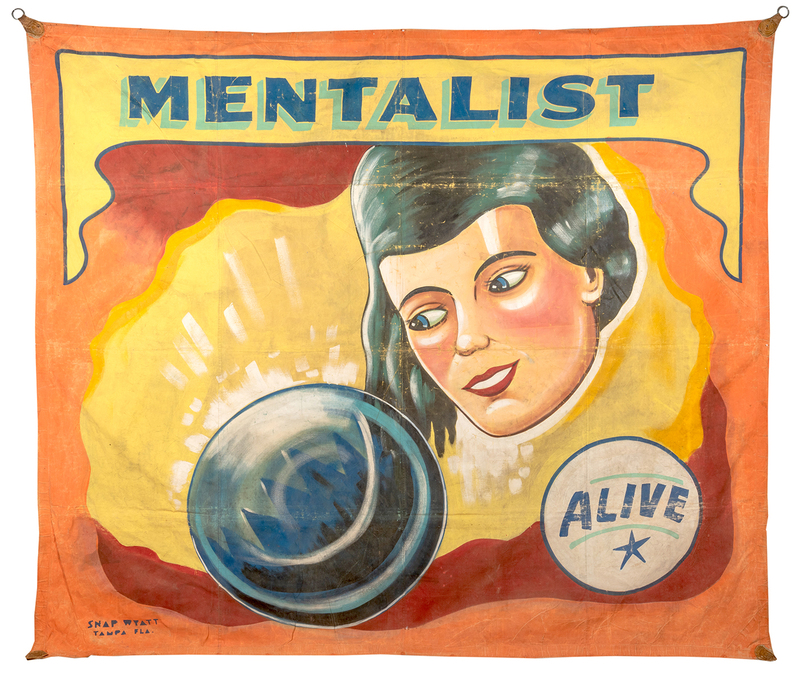 Lot Detail - Mentalist. Sideshow Banner. Wyatt, Snap. Mentalist. Sideshow Banner. Tampa: Snap Wyatt Studios, ca. 1950. A female mind reader stares into her crystal ball. Minor wear and tiny holes as expected from use. 117 x 103”.